Canterbury Sunrise also work by night! Sleepout a Success! 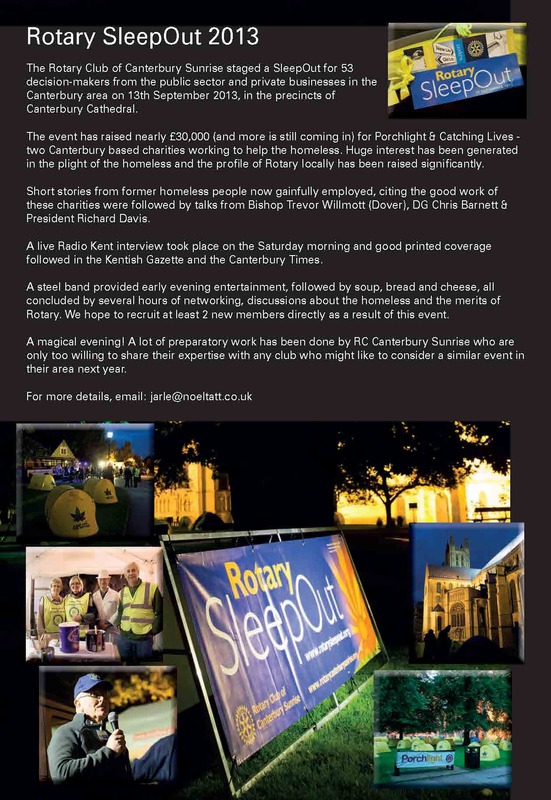 Their ‘Sleepout’ catches the press’s imagination in Canterbury and East Kent. Never being one to miss a trick – publicity-wise ‘Anything’ has received their very professional ‘release’ c/with photos, which I reproduce for your interest and edification -(Oh yes?) below. To enlarge the photo and read the text just ‘click’ on the photo and it should fill the screen. Mine does! 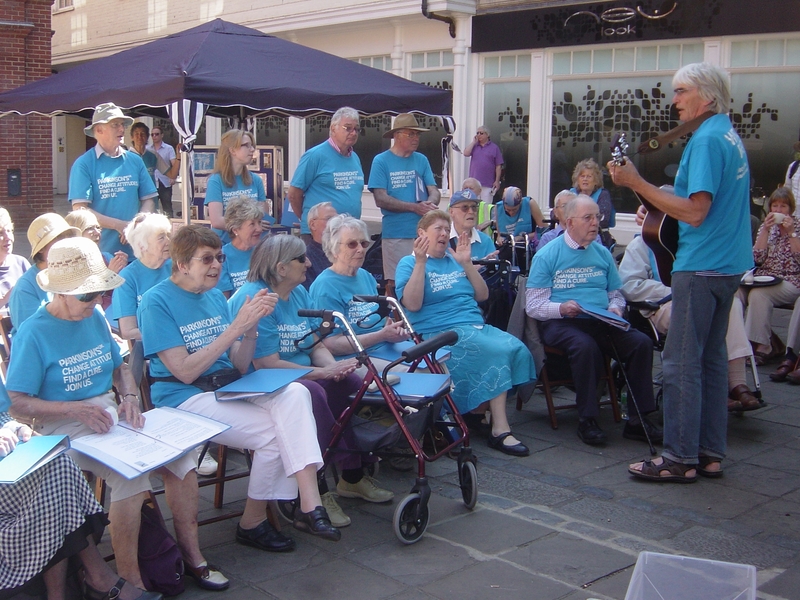 The Rotary Club of Canterbury sunrise recently supported the Canterbury branch of Parkinsons UK by arranging an opportunity for their Skylarks singing group to sing on the high street and collect donations. The Skylarks comprise branch members with Parkinsons disease and their families. 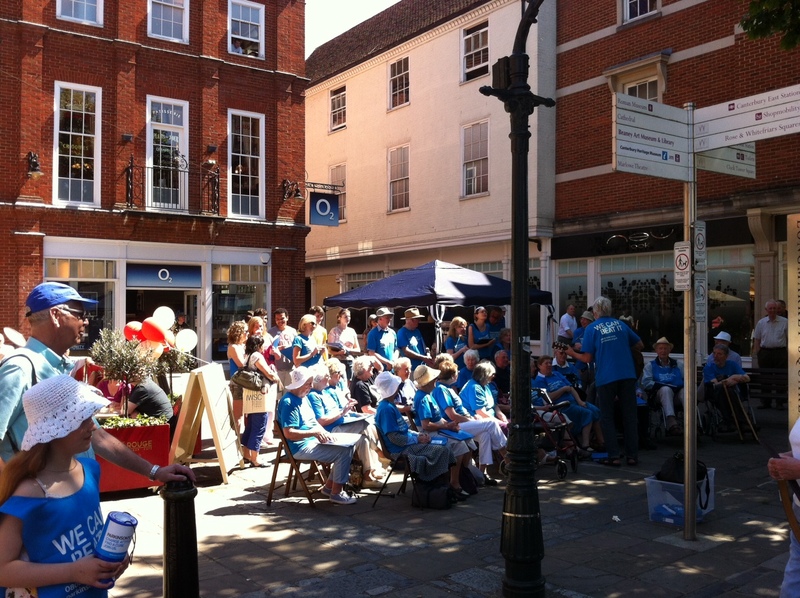 The Canterbury Branch of Parkinson’s UK is most grateful to the Canterbury Sunrise for its support by paying for the cost of hiring a meeting hall for the groups practice sessions over two years starting in February 2010.